Running and walking are two natural forms of exercise a person can do. However, with so many different types of athletic shoes available today, how do you know which is the best option for your feet or activity? 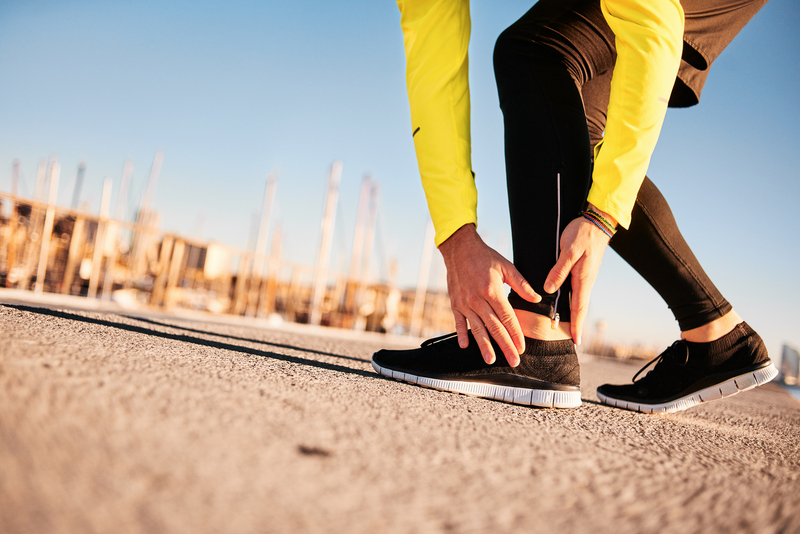 Choosing the wrong athletic shoes can cause shin splints or heel pain, causing you to be stuck on the couch rather than exercising. To help you better understand what shoes to choose, here are some tips to remember. Don’t make shoes multitask. This means choose shoes for each activity. Walking shoes will be stiffer, while running shoes are more flexible with extra cushioning to handle greater impact. If you alternate between walking and running on certain days, try to buy a pair for each activity for better protection. Know your foot. By knowing your foot’s particular quirks, it will help you choose the right pair of shoes. One way to determine your foot’s shape is to do a wet test. This is when you wet your foot, step on a piece of brown paper and trace your footprint. Or you can simply look at where your last pair of shoes shows the most wear. In knowing this, you can better choose your next pair of shoes for the best support. Measure your foot frequently. Feet change. As you get older, your feet change, which makes it important to have your feet measured twice a year. Sizes can also vary between brands, so go by what fits, not by what size the shoe is. And shop toward the end of the day. Your feet swell over the course of the day and also expand while you run or walk, so shoes should fit your feet when they’re at their largest. Contact us today at Great Neck Podiatry in Great Neck, NY to learn more about how you can choose the right pair of shoes the next time you need new athletic shoes for your event.